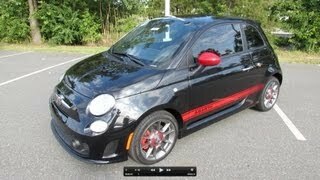 The 2012 Fiat 500 Abarth will be finally coming to the United States after it bedazzled the European audience with its elegant style and powerful performance. The latest model of the Abarth is the product of Italian engineering and provides the driver with a combination of power and amazing race track handling. 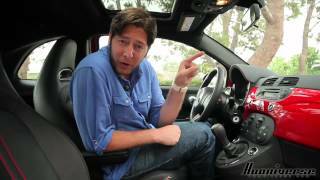 According to Fiat’s Chief Marketing Officer, Olivier Francois, the Fiat Abarth 2012 is being introduced in the U.S for car enthusiasts who want a high performance car at a reasonable price. The Fiat 500 Abarth is equipped with a 1.4 liter MultiAir engine coupled to a turbocharger and is able to generate a power output of 160 HP. Despite its small size the Italian car does pack quite a punch mainly due to the use of technologies like Abarth-tuned Power control Module (PCM) which are generally not incorporated in the car segment.The exterior styling of the new Fiat model is also quite exquisite and eye-catching. It also features enhanced brake systems, tuned suspensions and exhausts.A major plus point of the Abarth is its high power-to weight ratio which is better than its main rivals like Volkswagen GTI and Honda Civic SI. 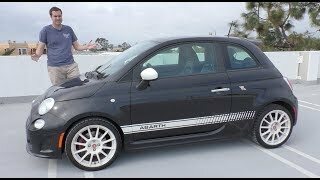 The Fiat Abarth beats Volkswagen GTI in the price aspect but if you plan to purchase the Abarth with the optional upgrades then there is not much difference. 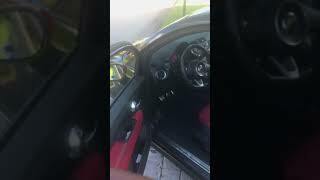 Also the fact that Volkswagen GTI is an already established car there might be the case that customers opt for reliability in the place of the new entrant. Fiat intends to increase its market share in the American markets with the announcement of the new Abarth as well as the 2012 Fiat 500 Cinquecento.The Abarth model can be expected to be priced at around 22,000 US Dollars. Faithful to the “small but wicked” saying coined for Karl Abarth’s cars in the 1960s, the new 2012 Fiat 500 Abarth arrives to America with the racing traditions that have made it a success on European roadways and racetracks — world-class performance and precision, purposeful and aggressive styling, high power-to-weight ratio and limited-production volume. Building on the excitement of the new 2012 Fiat 500 (Cinquecento), the new Fiat 500 Abarth is designed for track-day enthusiasts and driving purists who want the ultimate high-performance small car with the pedigree of an exclusive Italian exotic. 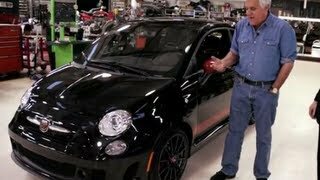 With its all-new 1.4-liter MultiAir® Turbo engine, Abarth-tuned suspension and brake systems, race-inspired design, and technology features not traditionally included on a small car, the new 2012 Fiat 500 Abarth unleashes the brand’s legendary performance heritage to American streets.